Mercedes Benz CLA Super Bowl Commercial "Soul"
Mercedes Benz enjoyed a good amount of accolades for their CLA Super Bowl commercial. 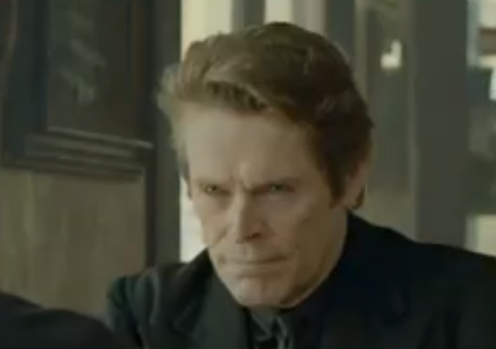 Titled "Soul" and playing with the Rolling Stones "Sympathy for the Devil" in the background, it tells a short story of the Devil, played by Willem Dafoe, tempting a 30ish man to sell his soul for "...the car and every thing that goes along with it". Discovering that it lists for just under 30 K, the Devil is rebuffed. How accurate was their body language? A sincere smile, while it does not have to display the teeth should always be comprised of a symmetrical mouth. 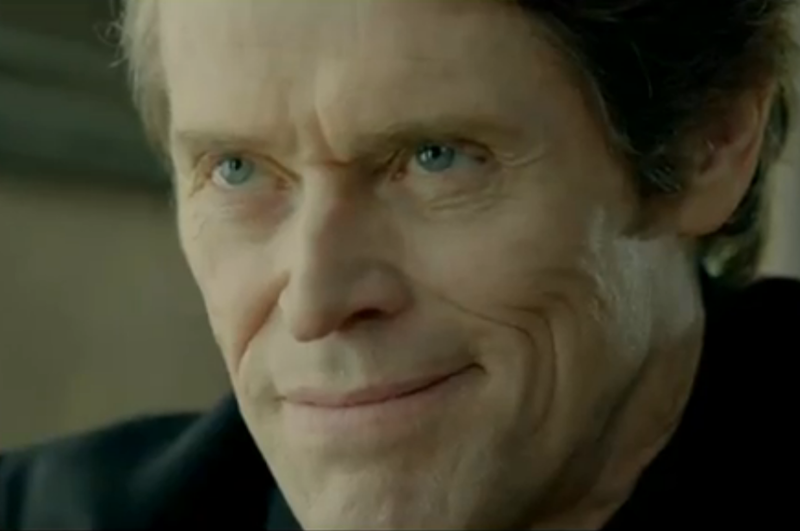 Here Dafoe's rendering of the Devil displays an asymmetric smile. A one-sided smile is insincere and on most people (regardless of their handedness, has a predilection for the left side). Also, if the Devil were about to capture another soul, he would be pleased and thus his pupils would be a good bit larger than are pictured here. This is the talented and beautiful Freida Pinto, who of course is not in this commercial. She is however displaying a sincere smile aka Duchenne Smile (Ekman) of true joy. Note her relaxed forehead and her very symmetrical mouth (despite a head turn) with only the top teeth showing. Also notice her eyelids - they are partially closed with the highly characteristic concave up furrow in both lower lids. This furrow is dynamic and is not present in insincere smiles. 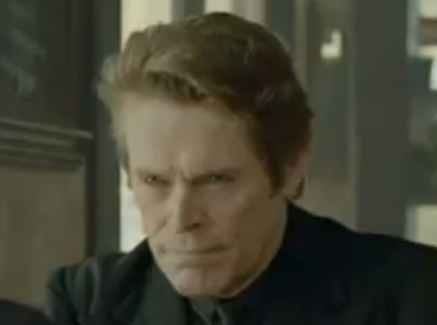 This image is beginning to be CGI'ed so it probably doesn't represent Dafoe's real acting ability or his (entire) real face. Note his thinned lips - particularly his upper one. This nonverbal is highly indicative of anger. Special effects are shown here as the whites of his eyes are beginning to fill with blood, but if he were sincerely angry his lower eyelids would be closed more (thus elevated). And if he were enraged (severe anger) they would be opened very widely. In addition, anger makes the pupils grow smaller. 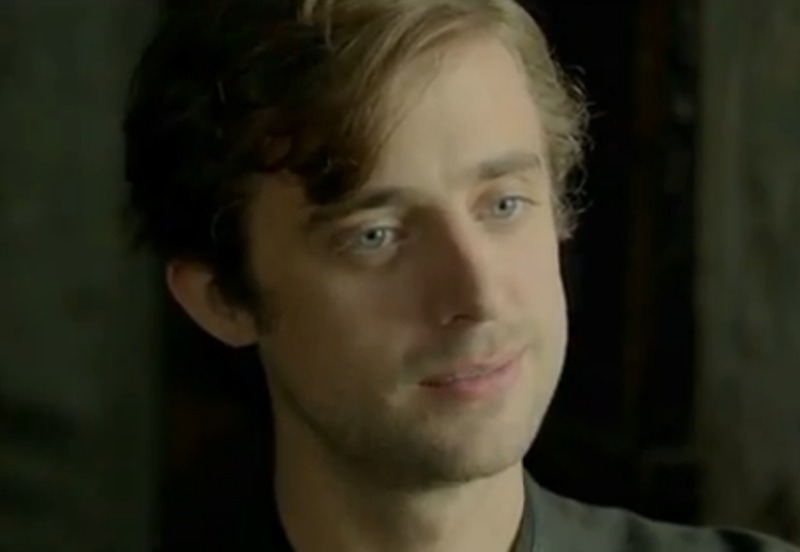 In this image they are larger than the first image, where he's trying to smile. While it is impossible to control one's pupil size consciously, this effect could have been CGI'ed into the video. 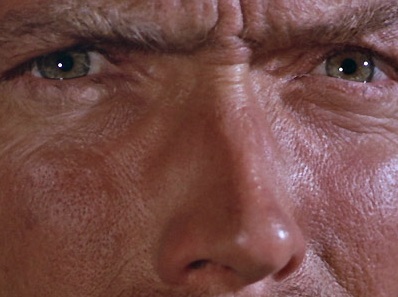 Here Clint Eastwood (also not in this commercial) is transitioning from moderate to severe anger as his left eyelid is beginning to open wider as his emotions grow towards rage. Here the hero of the commercial denies the Devil, as he too acquires an insincere one-side smile - again, biased towards the left. Dating & Romance Nonverbal Communication Secret # 1010: What Makes the Twinkle in Rashida Jones' Eyes?